On Harleys the speedometer is usually driven off of the transmission. If you spin the tire, change gear ratios, or even change tire sizes the speedometer is no longer accurate. 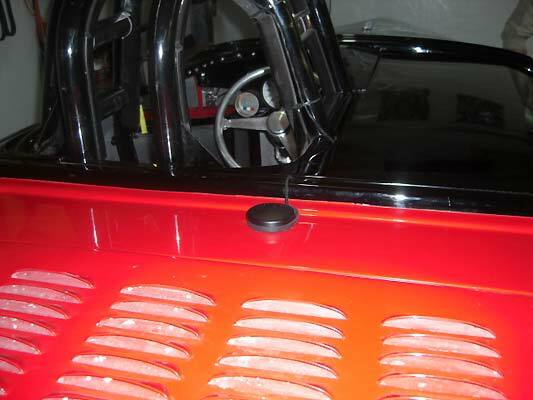 Then there is the issue that the speedometers are not designed for 250 mph or even anything past 120 to 160 mph. This situation is not exactly made for Bonneville where you are running past 200 mph, spinning the tire, searching for traction, and putting 300 mph Goodyear Land Speed Record tires to the test. We figured the best way out of this was to equip the Bonneville Bullett with a GPS (Global Positioning System) speedometer. When we checked around we found some GPS units for boats but nothing made for a 250 mph Bonneville Harley. 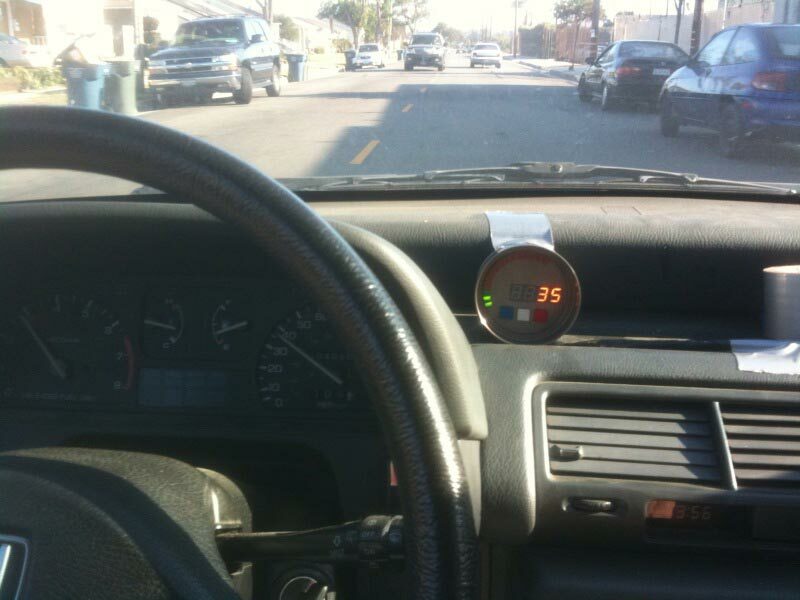 The only option was to make a GPS Speedometer. Four satellites will triangulate the Bullett in three dimensional space and Mike Geokan can have a dead accurate speedometer that never needs to be calibrated. 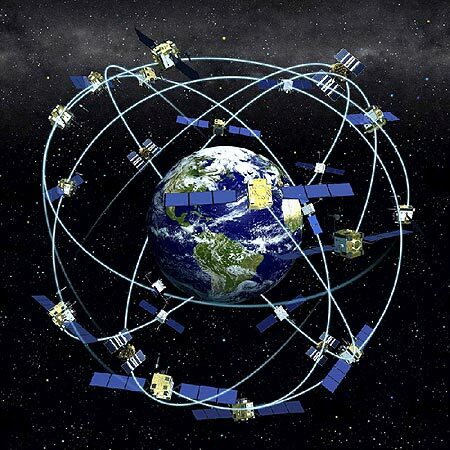 The orbits of GPS satellites are inclined to the Earth’s equator by about 55º. The system is designed to ensure that at least four satellites are visible at least 15° above the horizon at any given time anywhere in the world. 200 mph, as determined by four satellites, will be the first red light just before the 12 o'clock position. High recall, dimming and reset functions are handled by the three momentary buttons. Pressing the blue and red buttons simultaneously will switch the display to kilometers/hour. Switch back to MPH by pressing the same two buttons. On powering up the display will automatically revert to MPH. We selected the high resolution Garmin 18X 5Hz receiver. It reacts fast enough to show changes between shifts. 5Hz means 5 times per second. In honor or Mike Geokan's #226 Blue Bike Steve Manley of Xtal Design Labs cranks the GPS speedo up to 226 mph. It's a lot safer as there are no pushrods, pistons, hot gases, or sweat soaked leathers to deal with. Steve is usually in his racing suit in his Reynard. While we know what we want, we also know when to get help in electronics and embedded system design. 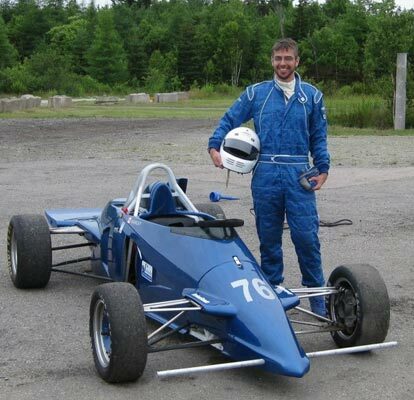 Steve Manley, the principal of xdesignlabs, has spent way too much time fooling with digital tachometers and race car engineering issues, in-between flying around serving his growing base of racing and industrial clients. In addition, we knew Steve had done extensive GPS work for Industrial clients and Off Road Racing Trucks, so we mixed our special requirements with his expertise and came up with the Orca GPS Speedometer. We did the final circuit layout work, machining and mechanical design and Steve provided the circuitry and embedded code. It takes a racer to understand racing. We race on two wheels and he races on four. The requirements are different but the ideas are the same. In Canada all open wheeled race cars are required to have snow plows. 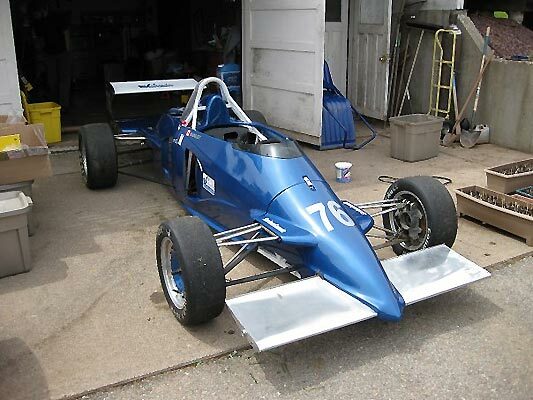 Steve did a complete ground-up rebuild of this Reynard. You can view the process on his website. Duct tape and four wheels...a bit easier to test than going 145 mph in freeway traffic or 200+ mph at Bonneville. 1" machined sunshade in housing makes display easier to see in bright sunlight. Honda speedo reads slightly optimistic. Satellites are more accurate. 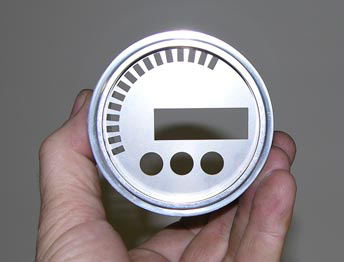 Turbine Marine Inc asked us for a GPS Speedometer for a Twin Turbine race boat. All they asked was that it go to 250 mph. Since our unit will easily go to 999 mph that wasn't an issue. 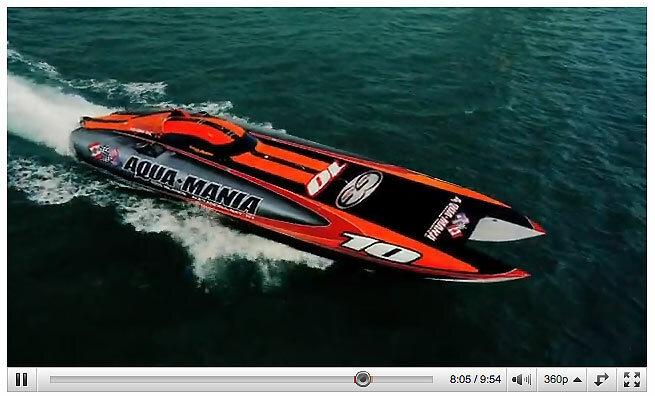 A video of these 200+ mph insanely expensive boats like Aqua-Mania gives you an idea of what the wealthy do with their money. We have no idea where our speedos end up. We think the boat guys are insane. 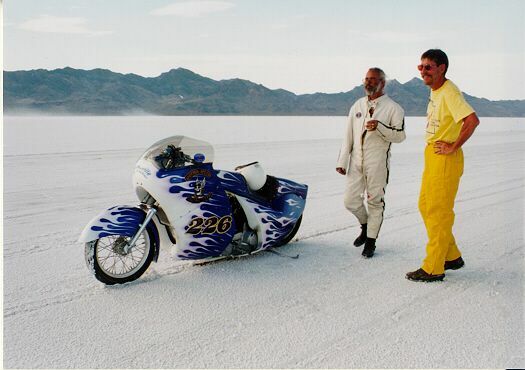 They think sitting on a pushrod motorcycle at the Salt Flats at 200 mph is insane. Maybe we all are. Most likely their exhausts are bigger than yours. Twin Turbine engines. Some combinations are way past 3000 hp. All we look at is all the welding on thinwall stainless. It's not easy. Mix zillion dollar turbine boats, clients with money, detail freak boat builders and you end up with hard black anodized units with red buttons. Aerodynamic Plating does our anodizing and they have every color under the sun, if you want to pay the minimum charge. 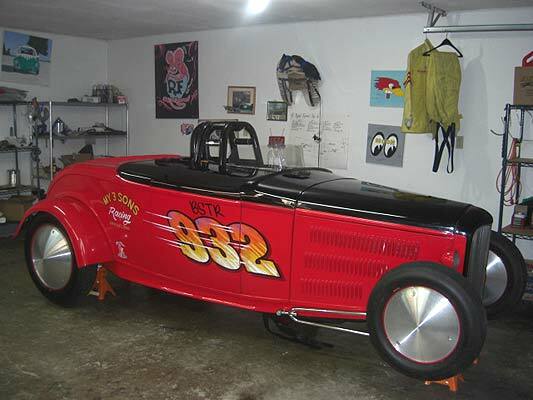 The late Boyd Coddington had Aerodynamic do all his billet parts like purple steering wheels and the like. If the boat designer wants black, he gets black. 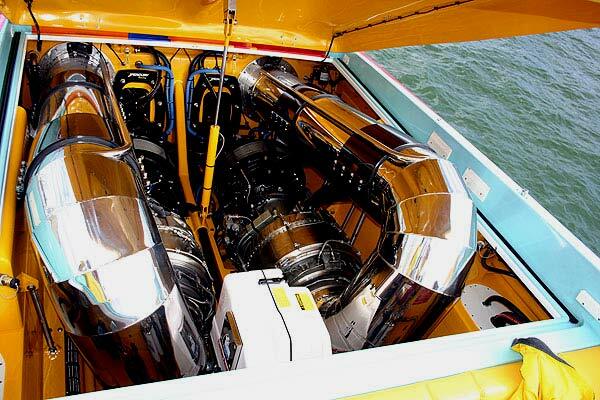 Turbine Marine Inc. IP56 watertight sealed gold-plated connectors, hardcoat anodization, fiberglass sheathing and stainless laser cut faceplates and stainless hardware....all to appease the Gods of Speed. We're two wheeled people but these boat guys are completely nuts. 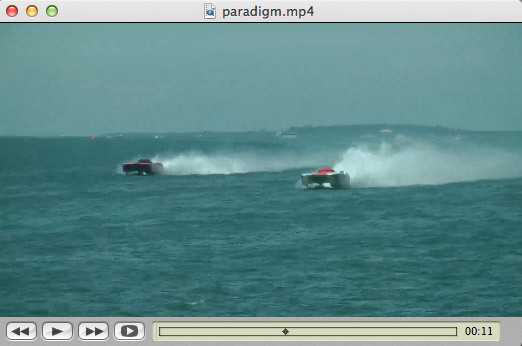 Here's a video of Turbine Marine/Paradigm Boats in a recent race. From Down Under...Mark Busscher from MBPerformance PTY LTD. GPS Equipped. Looks a bit insane to us. Guess too much is never enough. This is what happens when you go to Bonneville as a spectator...You end up buying a car to go racing. Of course when you get it home you get to tear it all apart and freshen up the engine and then start thinking about the next SpeedWeek and how you are going to get through technical inspection and make your qualification passes. 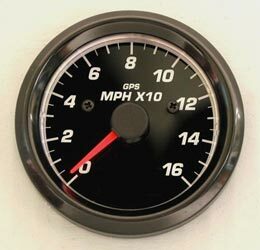 A GPS speedometer will allow you to hit your mph targets without worrying about wheel slip. The class record may be tough, but the journey is worth it even if you "only" get through the qualifying and licensing passes. 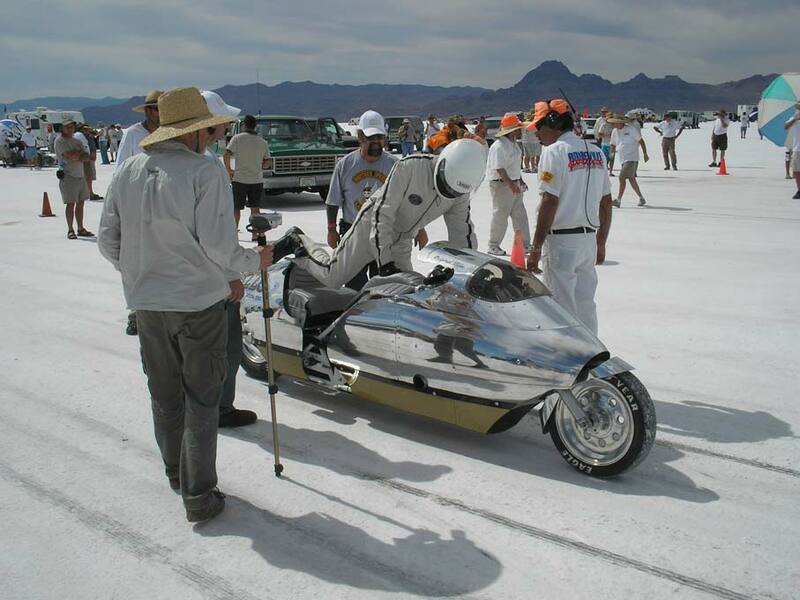 Bonneville is a long term game often dictated by the weather. If you can take your sons along to experience the Great White Dyno then it's all worth it. It's a stark and brutal but often a beautiful place where many have gone before you. My Three Sons at Bonneville. They had a sucessful event i.e. 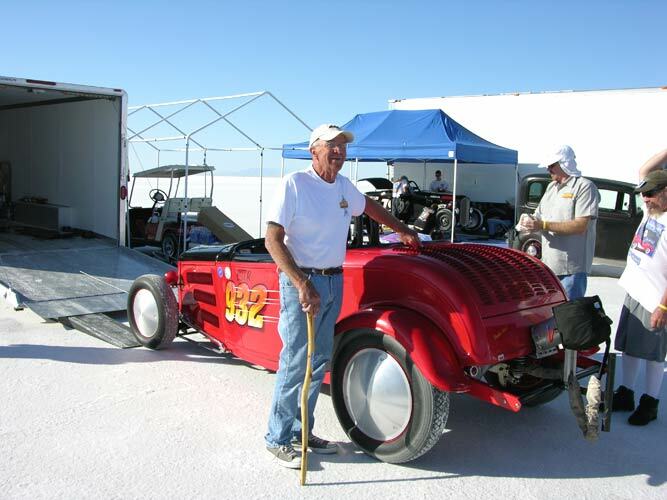 getting to the Salt Flats, getting though inspection, and making some test runs down the track. Next stop is looking for a 200 mph club record. Go once and you automatically find a reason to return. Weather can be a factor but the Salt Bear Gods were smiling this time. 200 mph is where we start to get going. 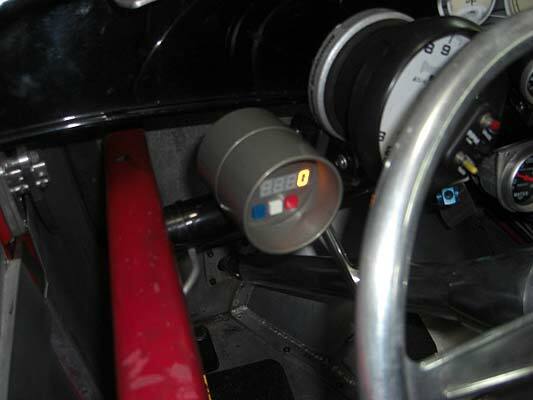 For us it is just before the 12 O'Clock position on our RSR ORCA GPS Speedometer...the first red light of the display. You have the throttle, the boost controller, and your seat of the pants computer to figure out how to hit your target speed. If you are on a qualifying pass you'll have to get near but not faster than 150, 175 and 200 mph before you can go to long course. 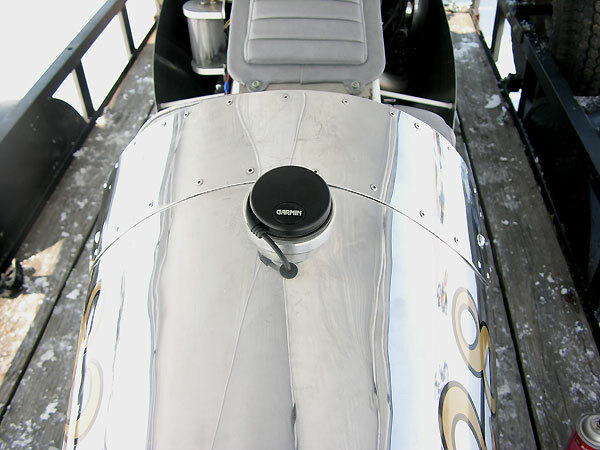 The Garmin OEM 18x 5Hz receiver is mounted on the Bullett's tail section. 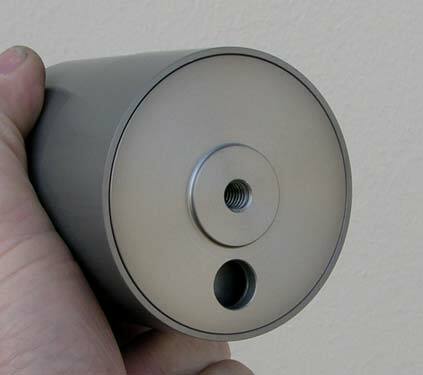 We machined a cup that bolts to the tail and siliconed the receiver into the upper recess. The shielded cable passes through a plastic grommet. Looks like a filler cap until you read the Garmin logo. 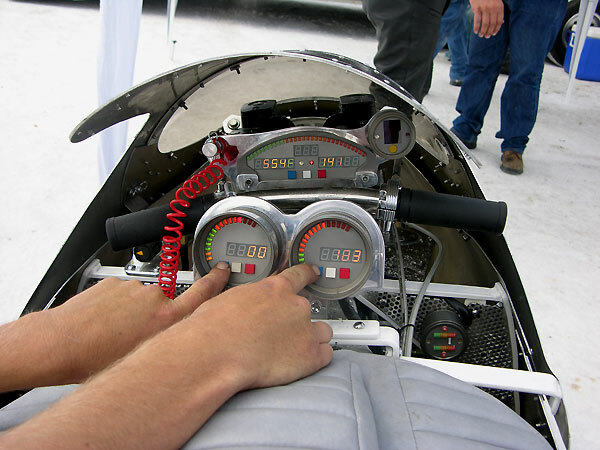 Having an onboard GPS Speedometer is essential at Bonneville where wheel slip is always present. To hit your target licensing pass speeds of 150/175 and 200 mph it is critical. We ran 145, 163 and 191 at the World Finals. The speedo is fast enough to see changes during shifts. A third gear test pass at Bonneville. 183 mph on the Orca GPS Speedometer. Analog speedometers are really wonderful instruments but they all give visual approximations and they lag with the needle "behind" the event. It is difficult to judge exact mph and they don't scale to 200mph or even further. In the violent, vibrating, shaking world of motorcycles you often see the needle as blur or find it broken loose at the bottom of the window. In tuning or racing it’s not a good idea to be guessing. Knowing your exact speed is critical for racing as well as day to day riding. 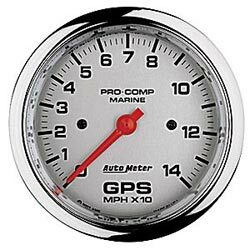 Boats are typical candidates for GPS Speedometers as there are no wheels or transmissions. These are useless for our purposes because, unless you have an Unlimited Hydroplane, or a blown drag boat, you'll never see 200 mph....We do see 200 mph. These are still analog instuments which, although accurate, don't give you an exact mph reading. We needed something different that gives both an analog sweep, an unlimited digital readout, as well as giving a visual reference to the magical 200 mph. These units used inexpensive receivers that operate at a low baud rate and only update 1 time per second. In addition you have the issue of lag due to the mechanical needle movement. The older Nordskog units updated one time per second with a transmission rate of one fourth of the ORCA GPS (2400 v. 9600 Baud). Put these on a vibrating Harley and they die. 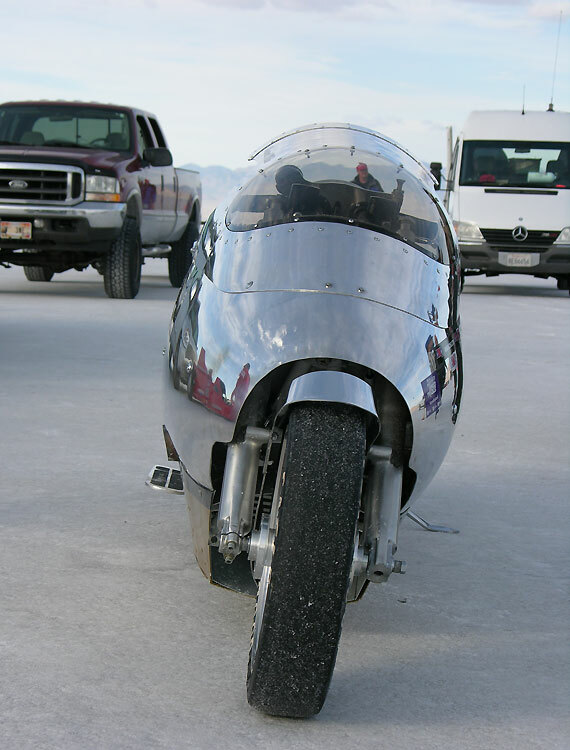 When we started building really high horsepower Bonneville bikes, like our early GSXR Suzukis and our Harleys with ORCA turbo engines, we always had to wait for the timing slips to see how fast we had gone. If we had a mechanical speedo hooked up to the transmission it would just gyrate with the wheelspin...Anyway, it wasn't calibrated for anything over 160 mph! The best traction control device is the rider's skill and the best feedback mechanism is the GPS Speedometer. Do whatever it takes to make the GPS number go higher. We tested round buttons and square buttons and settled on the larger square buttons. We tested various L.E.D.s and variances in computer code relative to rider interface issues. 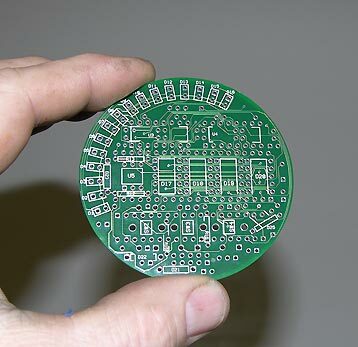 State of the art four layer circuit board with military grade componets. Ultra-reliable close tolerance though-hole components. Reverse polarity protected with optically-isolated circuits. Over-voltage and surge protection. Fully encapsulated electronics. The RSR ORCA GPS Speedometer will survive harsh environments. 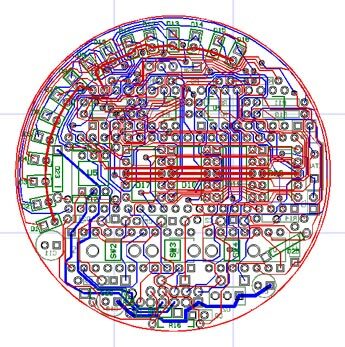 If we had to do it again we'd do a six layer board. Billet enclosure with a laser cut stainless steel face plate. Back of enclosure serves as a heat sink for the electronic components. Running 16 L.E.D.s and four digits at full tilt brightness to be visible in sunlight generates heat. Center back mount is supplied with a 90 degree stainless steel bracket that can be adapted to various mounting points...or you do your own thing. We have over 30 years of involvement on two wheeled racing, everything from 24 Hour Endurance, to road racing, to drag racing, as well as our well-known Bonneville speed efforts. 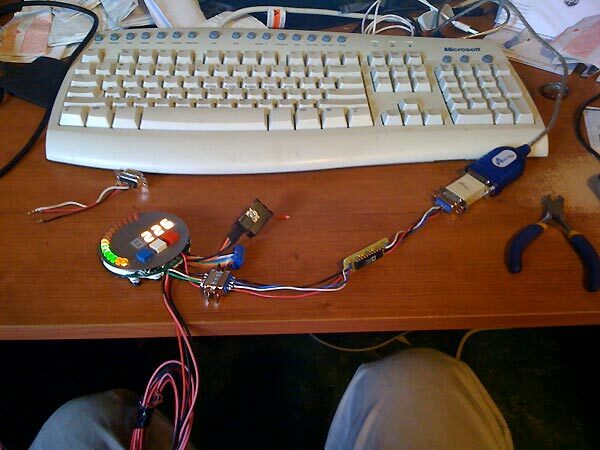 There wasn’t a GPS Speedometer that suited our purposes so we made one. It’s more of a question of building what we need to do our job. For others its simply building some useless custom billet part for an equally useless custom bike or someone selling you an automotive speedo adapted for motorcyles. 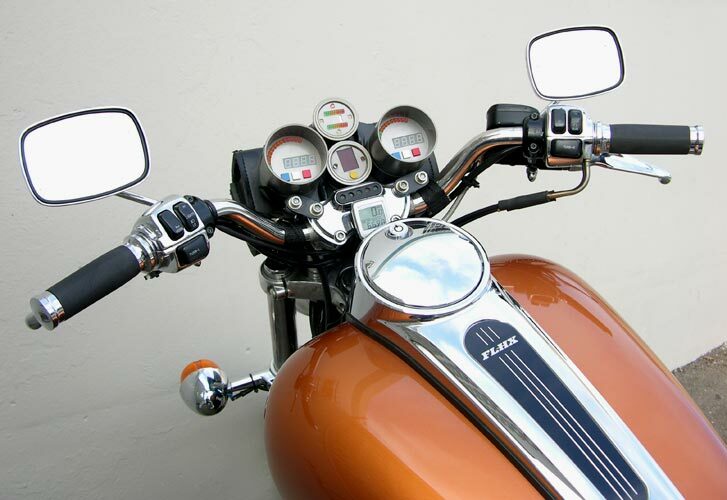 We like FXRs and we instrumented ours with our digital Tachometer, GPS Speedometer, Dual O2 Gauge and Gear Indicator. No it's not a FLHX. 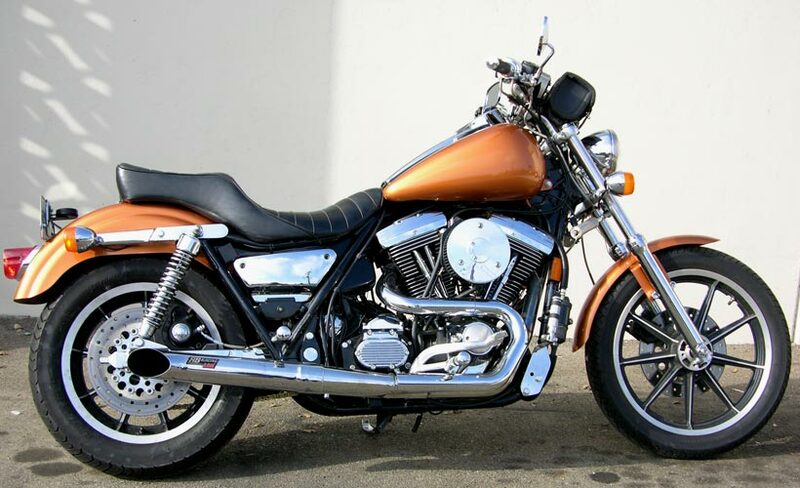 It started out as a 1999 FXR CVO2 that we put on a 5 gallon FL tank and got rid of the solid rear wheel and the 21" front wheel. We also convereted it to chain drive and put on a Hayabusa steering damper and one ot our LSR 2-1 1 3/4" B Style turn out exhausts. We also fuel injected it with one of our closed-loop RSR Injection Systems. We had Jim's Cycle painting put on a simple one color scheme as the cops seemed to be attracted to our blue tank, yellow rear fender and purple front fender. Clown bike. Painters are weird. We just left the color up to Jim. He painted Seven time F1 Champion Michael Schumacher's Bobber Harley so he's pretty decent. He's still weird. Jims works by appointment only 1-310 329 4707. We tested all sorts of combinations of lights, silkscreens and color schemes and this is the final product. It is a hard anodized billet enclosure with a laser cut stainless steel faceplate that has been optimized for l.e.d. brightness and has a textured and coated surface to prevent unwanted reflections. 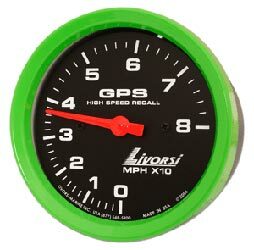 It is the world's best GPS Speedometer that is unaffected by wheelspin, changes in transmissions, or sprockets. Sixteen L.E.D. colored lights with the magic 200mph just before 12 O'Clock position in the first red light. The final scheme of the 16 lights after extensive testing was three green, nine orange, and five red l.e.d.s. The lights sweep in a bargraph mode i.e. they remain lighted if that threshold has been met. The first red light is just before the 12 O'Clock position which indicates 200.000 mph has been reached. The display lights remain in the green below 67.667 mph after which they go into the orange lights (watch for cops). The four digit digital display gives the exact mph readout updated at 5 Hz. If you hold the Blue and Red buttons down simultaneously when the display is powered up it will switch to kilometers (kph) or vice versa.. The display will remember the last setting i.e. KPH or MPH. Once the display is powered down it will revert to MPH when restarted. On startup it will locate the satellites: "Conn" will be displayed as it connects and "Loc" when it locks on. After that it will display a zero "0" until you get moving". Blue button is high recall for both sweep and digit scales. White button is brightness select for daylight or nightime. Red button is reset, or zeroing, of the high memory recall. Buttons are high force and are easily operated with gloves. Billet case has a machined sunshade 1" deep to insure visibility in bright sunlight conditions. If you want bright go to Bonneville where you are under blinding sun and a white ocean of salt. It's been tested there. Sheathed wiring harness comes out the center bottom. 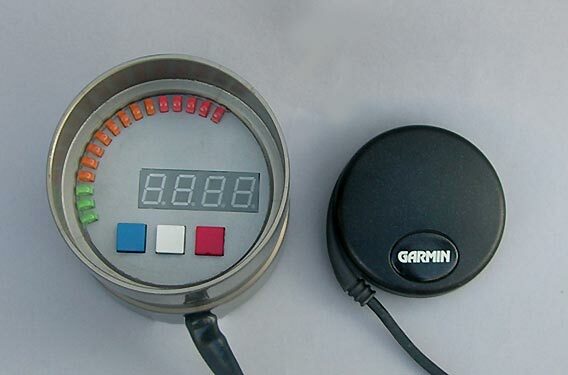 * Note: When ordering your Orca GPS Speedometer you may specify the length of the Garmin 18x 5Hz cable. The cables that come from Garmin are 5 meters long (16.4 feet) and we normally cut these to 4 feet in length and install a Circular Watertight Connector. 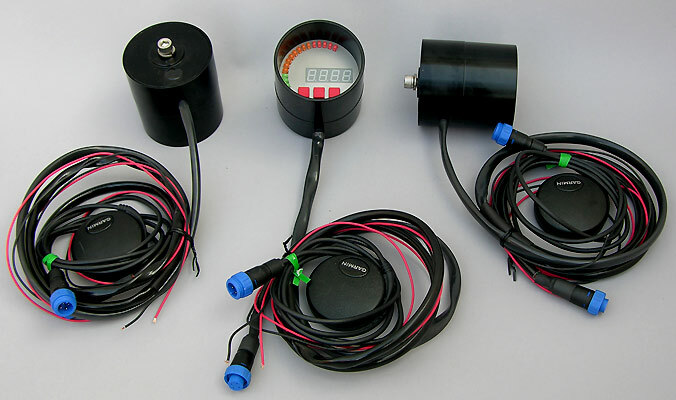 The six lead wires from the Orca GPS Speedometer are as follows: Red Wire (12V) and Black Wire (GND) are 6 feet in length; Four Garmin wires (Green, Orange, Black, White) are 5 feet in length. All six wires are covered in 24" of fiberglass sheathing. The four Garmin wires break out at the 24" point and are covered in a separate fiberglass sheath 3 feet in length terminating in a Circular Locking IP56 rated Watertight Connector. Instructions. Specify the length of the Garmin 18x 5Hz cable from the end of the 5 foot long lead and Circular Watertight Connector. If you do not specify this, we ship with a 4 foot long Garmin cable...a total of 9 feet from the gauge to the receiver. 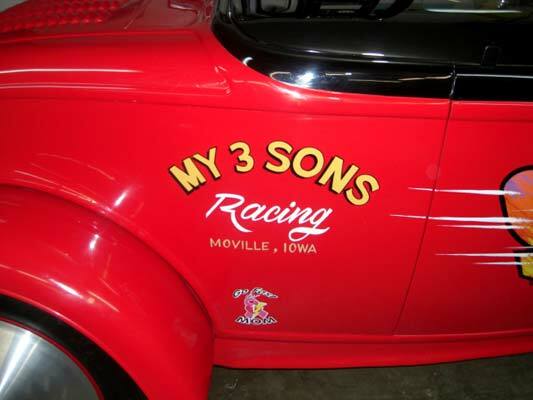 We have been racing one thing or another from road racing, to drag racing, to Bonneville for over 30 years. This is the speedometer we had to have. 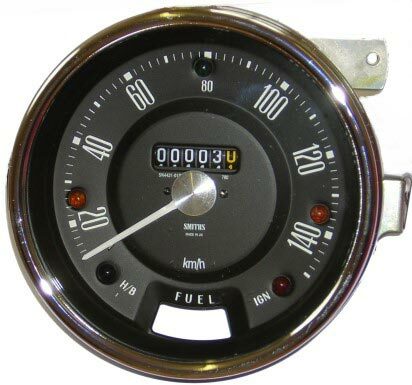 It's simply the best speedometer we have ever used and the only one we'll use at Bonneville. No, we are not going to add odometer or trip meter functions as gps is not the best way to do this. That is best handled by transmission sensors.